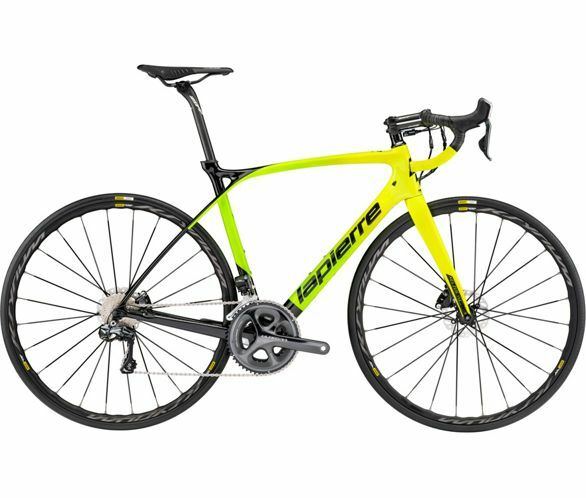 The Xelius SL Ultimate is fast up a climb, but nothing speaks louder than results. The Xelius SL is a bike that carves up the roads. The seatstays of the all-carbon frame curve from the rear axle directly to the top tube, allowing controlled flex that boosts comfort and traction. Lapierre's 3D Tubular Technology also reduces mechanical stresses and the SL carbon layup ensures it stays extremely light. Hydraulic discs give more power, a lighter lever action, greater consistency and superior performance in the wet. They also allow lighter wheels with thinner, shape-optimised sidewalls that won’t wear out.